One of my favorite axioms is the law of unintended consequences. I've been thinking a lot about this in recent months as we watch our society devolve into one more and more characterized by polarization, rage, stridency and partisanship. I recall in the early days of the new media and new technology the hopes surrounding these breakthroughs, not merely hopes about extraordinary access to information which have largely been realized, but hopes as well that the public, now having access to more diverse viewpoints than ever, will become more open, more tolerant, more willing to engage in civil discourse. That old law of unintended consequences rose up, however, and dealt these aspirations a mighty blow. Instead of people taking advantage of the new ability to be exposed to diverse thinking, so many went the other way. They now only went to the cable TV news station that confirmed and reinforced their own particular ideology, whether on the left or on the right. Now, as a result of the debate surrounding the mosque near Ground Zero, we are witnessing a surge in anti-Muslim bigotry. One week later, the ADL presented its "ADL International Leadership Award" to... Rupert Murdoch? In his acceptance speech, Mr. Murdoch touched on what he described as the danger signs that anti-Semitism is on the rise, and provided examples of how some anti-Semitism from the left comes under the guise of legitimate criticism of Israel. "All of the people who try to blow airliners out of the sky pretty much look alike" - Steve Doocy. "[Building a community center] six-hundred feet from where World Tower One - World Trade Center One stood: is this gloating on the part of the Islamic community?" - Brian Kilmeade. "If all Muslims would boycott airlines, we could dispense with airport security." - Ann Coulter. “Muslims killed us on 9-11.” - Bill O'Reilly. Fox allowed O’Reilly to defend his statement on his own show, as well as on Glenn Beck’s show, and Fox and Friends. Fox News hosts Glenn Beck, Brian Kilmeade, and Gretchen Carlson, as well as Fox News contributors Karl Rove, Brit Hume, and Andrea Tantaros, all defended O’Reilly. "All terrorists are Muslim" - Kilmeade again, who apparently "misspoke" the same statement on two different shows. Between May and August, Fox's evening programs hosted 47 guests to talk about the Park51 community center, with 75% of those opposing it. And that's just the tip of the iceberg. 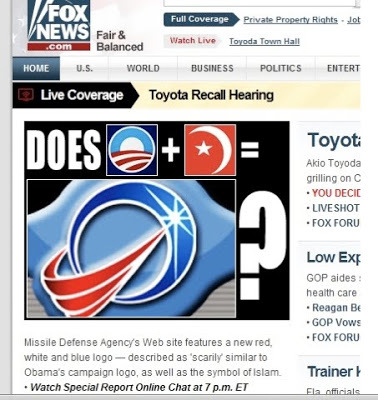 Media Matters has several thorough round-ups of Fox News's continual anti-Muslim bigotry, as well summaries of Fox personalities engaging in race-baiting and promoting anti-Semitic guests and websites. 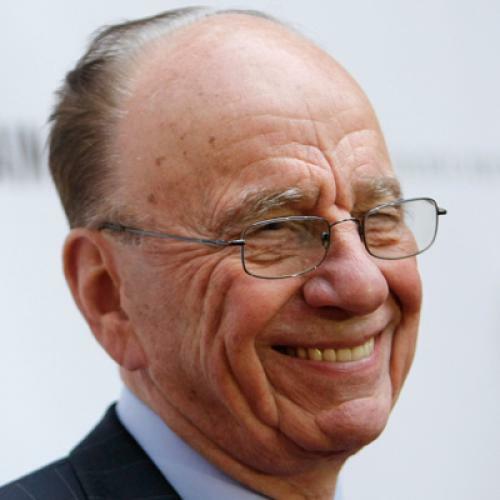 If you're interested in the general principle of tolerance and equality, then awarding Rupert Murdoch is preposterous. But if you define your values in a purely sectarian way, then a figure who advances an illiberal agenda that defines Jews as one of the "good" nationalities is right up your alley. Looks increasingly clear that Foxman has made his choice, and is defining the ADL's agenda not as the universalistic vision of the ADL's founders but as a moderate Jewish Defense League.